Miami, Miami Beach and key Biscayne are some of the major fishing spots offering delightful Miami fishing tours. No matter if you are a novice or a professional angler the Miami waters have many fishing charter boats and well trained staff to handle just about anyone ready to fish. The Miami charter services provide a variety of options to suit a customer’s budget. You can book a Miami fishing trip for children or make a group tour with family and friends. Miami is a unique town with everything including a variety of fish, charter boats and fishing areas. There are also a large variety of baits available too. Fishing in Miami can be enjoyed all round the year. The tourist keep pouring in with numerous fishing tournaments and competitions held annually. The annual sailfish cup involves a good number of celebrity anglers. The billfish tournament attracts professional anglers who like the excitement of catching predatory fish such as swordfish and marlins. Light tackle, kite fishing, reef fishing, tarpon fishing and shark fishing are some of the wide range of fishing techniques used. The artificial reefs that are created underwater have an amazing world of their own. One may find schools of sea bass and groupers that are part of this ecosystem. Sharks are dangerous underwater predators that are considered big game. The hammerhead shark is one of these amazing species and the bull shark being the most notorious of them all. Tarpons, barracuda and blue marlins are some of the prized fish you can come across on Miami fishing tours. The sailfish, kingfish and tarpon can be seen from early winter to late spring season. The beaches and inlets around Miami and Key Biscayne may hold the best fishery of all. The mahi-mahi (dolphins), wahoo, tuna and amberjack can be found in late spring to early fall, while tarpons are available all round the year. There are various fishing charter services which operate on half day, whole day or ¾ day and night operations. Usually the charter includes licenses, bait, equipment and even ice. These charters are well stocked with the latest fishing equipment, fridge, entertainment gadgets, fish wells etc. Some of the yachts provide the customer with dinner cruises, sight seeing boats, scuba diving and snorkeling. 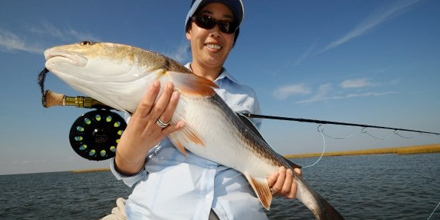 Most fishing tour operators are already listed online and have their own websites. It is easy to contact these Miami fishing tours operators and get great packages and deals by calling (786) 486-7200. Some charter services can take you up to the Bahamas or Biminis including a compulsory two night stay. The knowledgeable crew members in the local Miami area keep updated on the weather conditions, water current and catchment areas. Some of them are nice enough to cut and clean the fish and pack them for home. There are also some great food and wine festivals that take place around the Miami Beach areas.